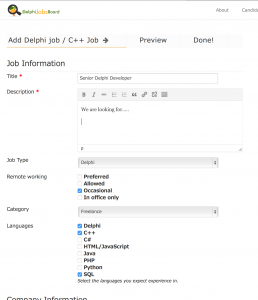 Starting from FREE, you can advertise you Delphi and C++ jobs online. 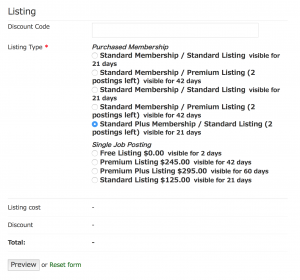 At the point you create your advert, you can choose your listing type. 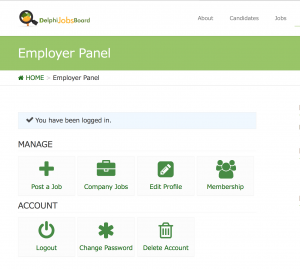 To advertise your Delphi or C++ Builder Job you first need to be registered as an employer and logged in to the employer panel.